Video games which involve physical activity significantly boost our brain health as we get older, according to new research led by University of Manchester experts. Study authors Dr Emma Stanmore and Joseph Firth say systems that use physical activity for gaming such as Wii, and Xbox Kinect can boost brain functioning in people with neurological impairment, as well as keeping our minds healthy and active as we age. Over the past few years of writing this blog I have spent a lot of words on the value of eating intelligently and exercising regularly to help control your weight and to age well. So, it is interesting to see that there is a positive relationship between hobby activity with mortality and frailty among community-dwelling elderly adults, according to a study by the department of Public Health Sapporo Medical University School of Medicine, Sapporo, Japan. On its face, this may seem outside our criteria of diet and exercise, but anything that may lead toward more healthy aging is worth looking into. Also, in previous posts on the brain (regardless of age) it has been shown that there are many benefits to mental activities. Learning anything new is beneficial to the individual on a physical and mental level. Certainly pursuing a hobby would qualify. You can click on the brain tags at the right for further info. The study was seeking to identify factors that influence health status among elderly adults in Japan. It included over 2000 individuals between 65 and 84 years old. Questions on hobby activities were from 4 categories: solitary physical, group physical, solitary cultural, and group cultural activities. They found that the folks who participated in hobby activity had a markedly lower mortality rate and also less chance of becoming bedridden. Their conclusion was that the findings may be important for programs that seek to promote health among elderly adults since the proportion of Japanese adults aged 65 and older is predicted to increase. On a personal level, you don’t need to cultivate Bonsai trees, there are lots of areas worth pursuing. Look into your own interests. No one knows better than you what kind of hobby can captivate your interest. Just kidding. I’m sure regular readers thought they had hit the wrong link to get here. No picture of chocolate cake across the top. Besides the new masthead photo the blog has just undergone a seismic shift. John is gone and he has taken his chocolate cake photo with him. In its place is the new photo of and ideas from Tony. The info you get here comes from a world of facts. Ideas instead of chocolate cake. Cerebral instead of visceral. I like that. I hope you will, too. You probably noticed that there were no new posts the last couple of days. That’s because the blog was in a state of flux, as in fluxed up. 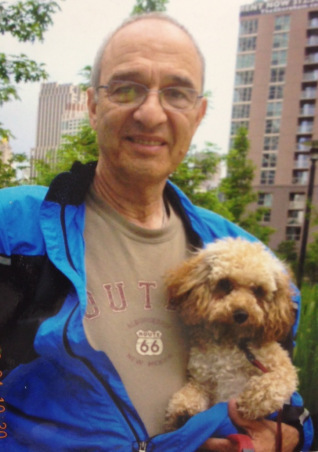 My former co-blogger, John, and I are going our separate ways. He has transferred his rights in the blog to me. Besides ending this nearly three year creative venture, we also terminated a 30-year friendship. The whole story is way too long to recount here, but I think you deserve at least a bit of an explanation. We started the blog in March 2010 on John’s suggestion. Our popularity grew from the start and we both enjoyed working on it. I think our friendship became closer for a while. Cut to December 2012: I found myself disappointed over a lot of what John was posting and I have a strong feeling he felt the same way about what I wrote. A good example, and possibly the straw that broke the camel’s back, is my post – A Love Letter to Hostess Ho Ho’s – NOT. John posted a number of comments to it and pretty much stopped talking to me as a result. Bottom line: The king is dead. Long live the king. I don’t have any particular ill will toward John. He was a gentleman about stepping down from the blog and letting me own it. As I have written numerous times here, I am currently enjoying the best health of my life, both mental and physical, and the reason is all of the things I have learned in writing for this blog for the past months. Writing for this blog is undoubtedly the best thing that has happened to me in the last 10 years. The blog was John’s idea. He asked me if I wanted to do it. He had done blogs at work. I never had, but he said not to worry about it. So, I agreed and the rest is history. I am totally grateful to John for having the idea in the first place and inviting me along in the second. I wish him well in his future endeavors. What all this means to you, dear reader, is that I will be continuing to research and learn and write about topics that help individuals to eat healthy, exercise adequately and live to a ripe old age with their mental faculties intact. I hope you will be sticking around for the fun. What About Heroes Without Empathy? I am asking about heroes without empathy because I really don’t know the answer Over the past few years, we have been offered several heroes that have become hugely popular yet who do not seem to care at all about other people. They have no empathy. A hero is someone admired for achievements and noble qualities. Someone who demonstrates a lot of courage. The heroes below are over the top on achievements, but seem utterly lacking in empathy, a quality I consider a noble one. I like movies and TV and as a retired guy indulge in my share. I am thinking of two heroes of popular TV shows and one of books and movies. Lisbeth Salander is The Girl With the Dragon Tattoo who Kicked the Hornet’s Nest and Played with Fire in Stieg Larsson’s captivating and very popular trilogy. Abused as a child, Lisbeth forged a successful life for herself that included physical combat, computer hacking, bisexuality, higher mathematics and a general off the grid existence. She hijacked the focus of millions of fans worldwide, but appeared incapable of fathoming the feelings of the person seated across from her in a room. Lisbeth is the first of my three heroes. Jim Parsons who plays Sheldon has won Primetime Emmys, a Golden Globe Award, A TCA Award and a Critics’ Choice Television Award for his work on the series. Sheldon dominates his roommate, Leonard, with The Roommate Agreement, a multi-page document that Leonard signed to come aboard. 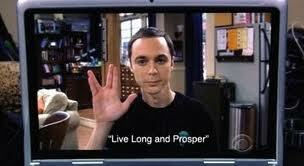 It is heavily weighted in Sheldon’s favor. He has a similar agreement with his girlfriend, Amy Farrah Fowler, about which she laments in one episode that she didn’t consult with a lawyer before signing. Unlike Lisbeth Salander’s crushingly dark character, Sheldon is a bright incredibly comic character whose antics propel The Big Bang Theory to the top of the sitcom charts every year. The third hero is none other than Sherlock Holmes himself, in his latest incarnation on TV’s Elementary. 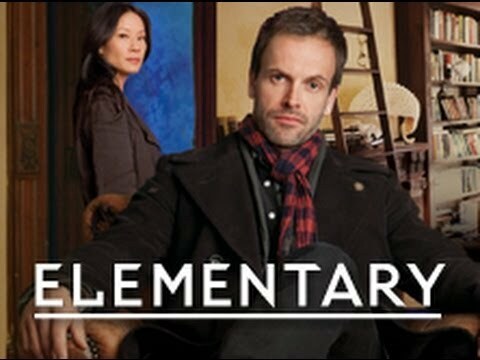 Brought to life by Jonny Lee Miller, Holmes is a recovering drug addict with the lovely Lucy Liu as his ‘sober companion’ Dr. Joan Watson.